This diver have had a hard life. 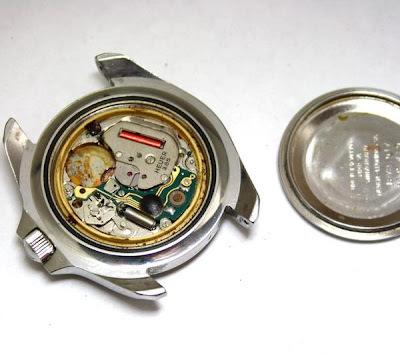 The bezel is completely missing, and the movement looks very bad and corroded. The dial is miscolored in the middle. The good news is that the case looks ok. The crystal is scratch free, and the Heuer signed original crown is in place. My plan is to bring this one back to life. 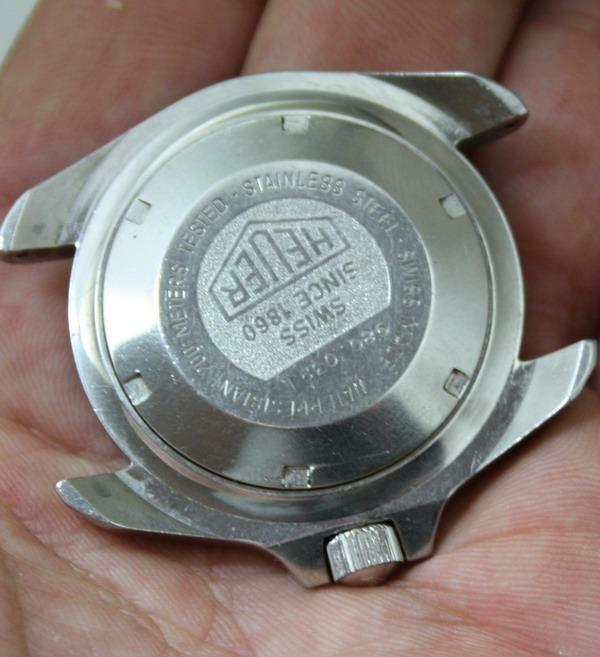 I think I can rescue the movement if I totally dismantle it and give it a good clean. I do have some spare parts if I need to replace some parts. The big 42mm diver are very popular among heuer collectors and this ref. 980.032 L is quite rare. 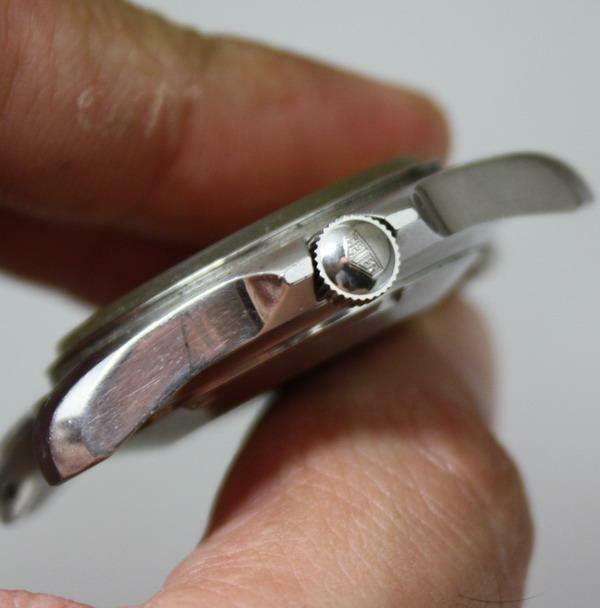 The bezel will be harder to find, but I have some ideas about how I can solve this problem. 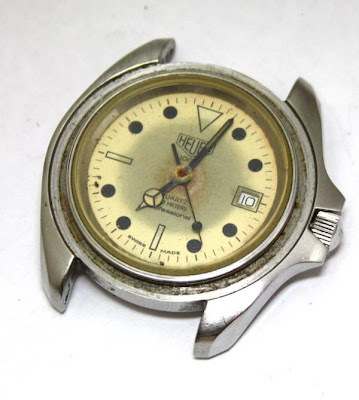 A NOS bezel would look wrong on a watch like this with a lot of patina. I will update you readers when I start to work on this project.